SPRING HILL, Tenn. — General Motors is investing $22 million at its Spring Hill, Tennessee, manufacturing complex to enable the engine plant to build 6.2L V-8 engines with GM’s advanced Dynamic Fuel Management technology. 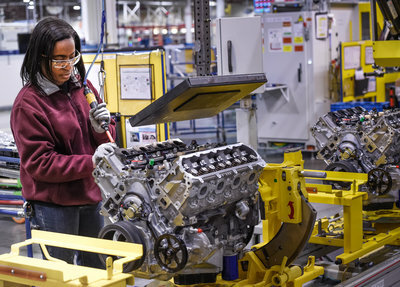 With today’s announcement, GM has invested more than $2 billion in the Tennessee complex since 2010. General Motors is committed to delivering safer, better and more sustainable ways for people to get around. General Motors, its subsidiaries and its joint venture entities sell vehicles under the Cadillac, Chevrolet, Baojun, Buick, GMC, Holden, Jiefang and Wuling brands. More information on the company and its subsidiaries, including OnStar, a global leader in vehicle safety and security services, Maven, its personal mobility brand, and Cruise, its autonomous vehicle ride-sharing company, can be found at http://www.gm.com.